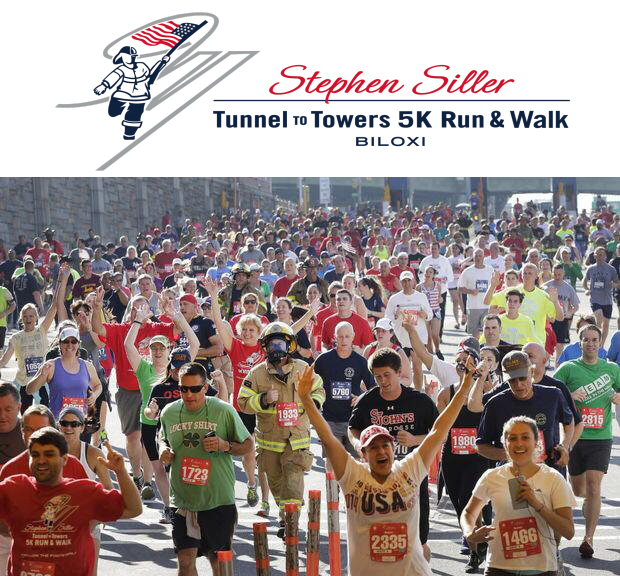 Join us, Saturday September 17, 2016 for the 2nd annual Tunnel to the Towers 5K run & walk. 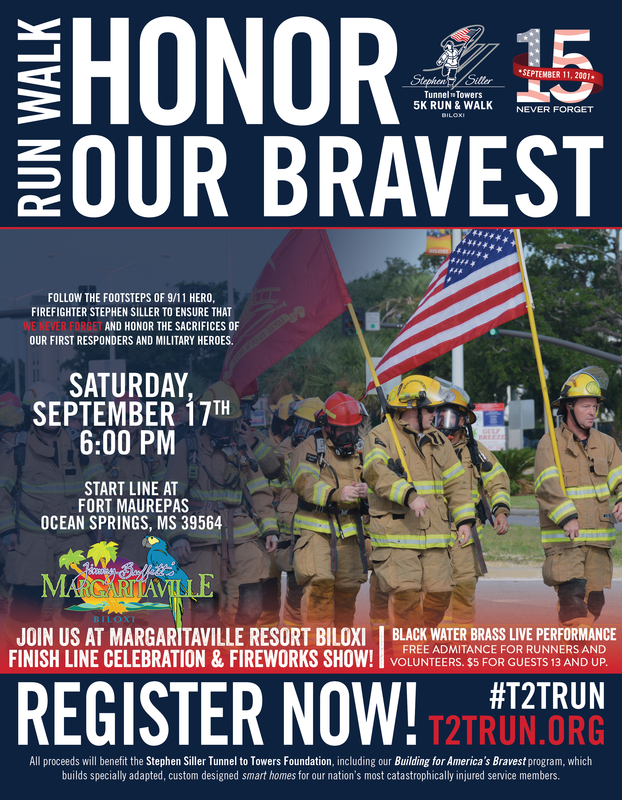 The 5K run is charity event designed to raise money and awareness for first responders and severely injured military veterans. The run will begin at 6pm, at Fort Maurepas, located on Front Beach Ocean Springs, MS, and will end here at the Margaritaville Resort. This event is open for all ages and participants are encouraged to show their American spirit. Children under 10 can run free, but it must be processed through registration and they must be accompanied by an adult. Ages 11-99 can register at the general rate of $25 ($30 race day). Parking is available near Harrah's Casino as well as downtown Ocean Springs. There will also be shuttle transportation from Harrah's to Fort Maurepas. Please feel free to come out and support the runners and stay for the fireworks and post run events.